The hotel Le Pré Saint Michel Manosque is a destination for a relaxing holiday and escape under the sun of Provence. On your next trip to the South of France, take the rhythm of Provence and stay in a hotel with swimming pool for memorable stay. Illuminated by the sun, this 3-star hotel welcomes you in the atmosphere typical of Provence, offers you a swim. Perched on the heights of Manosque, this hotel with swimming pool invites you to discover the calm and charm of Provence for your next holiday dedicated to relaxation and idleness. The time of a weekend, relax in a hotel of charm and character in Manosque and rest at the edge of the pool sun. During your stay in Provence, this 3 star hotel, you can relax in the pool, explore the garden, its shades and flavors of the restaurant. The hotel Le Pré Saint Michel welcomes you with warmth and invites you to stay in one of its rooms and decor inspired by Provencal houses. For a stay of well-being in peace in Provence, this charming hotel offers a swimming pool and invites you to relax under the sun Manosque. In the heart of Provence, Le Pré Saint Michel invites you to discover the beautiful landscape that surrounds it and stay in a 3 star hotel with swimming pool. For your next holiday or weekend in Provence, this boutique hotel invites you to enjoy the benefits of a swimming pool and discover the extraordinary nature of the Verdon. 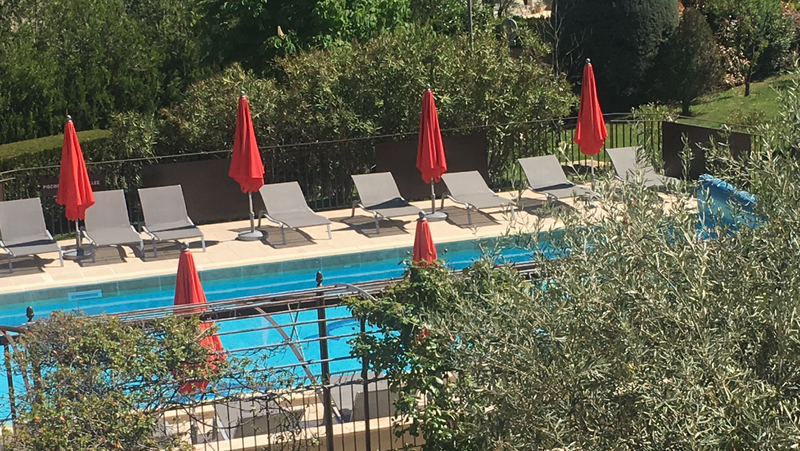 Be surprised by the quiet of this 3 star hotel in Manosque where you can relax by the pool and relax in the garden with the colors of Provence.